A new round of distribution begins this week for MadTree’s popular Imperial IPA. Cincinnati beer aficionados searching for a blast of tropical citrus and American hops can relax because Citra High Imperial IPA is back this week. After first being canned last April, Citra High makes its triumphant return starting Thursday, October 8 at noon. Exclusively at MadTree’s Kennedy Avenue taproom, customers can grab limited quantities of cans and growlers of the Imperial IPA. 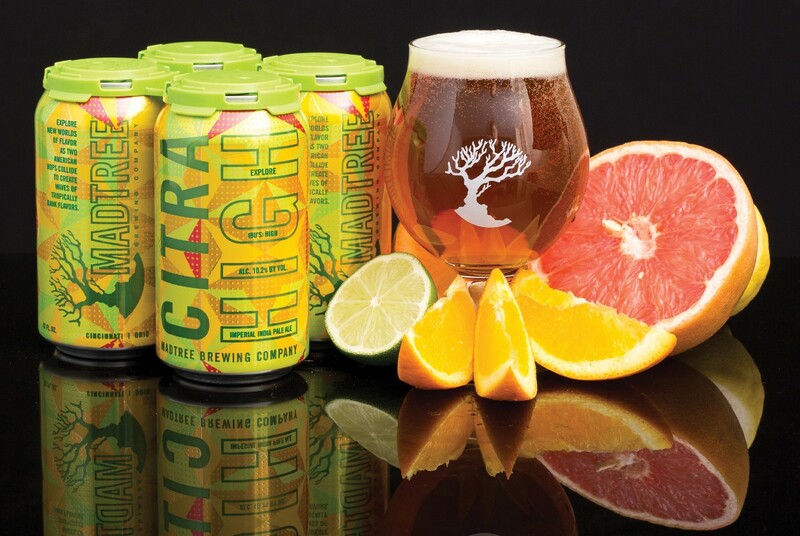 Citra High will make its way to local restaurants, bars, and growler stations starting October 12, and cans will finally hit retail stores the week of October 19, just in time for your Halloween party. Potent is right: Not only is it strong (10.2% ABV), it’s also bitter (120 IBU). It’ll knock your socks right off, while still appealing to your inner beer snob. It currently holds a 97/100 rating on RateBeer.com.